Stanley P. Sklar - Mediator & Arbitrator based in Northbrook, Illinois. If you’d like a list of available dates for Stanley Sklar, please submit a request below. Stanley P. Sklar, who earned a reputation in the legal community as one of the pre-eminent construction law practitioners, has been named Executive Director of Arbitration Studies at the DePaul University College of Law's Center for Dispute Resolution (CDR). He recently retired from the private practice of law on December 31, 2008. Sklar introduced alternative dispute resolution methods to the practices of construction and real estate law. As Executive Director he will draw on his unique skills to create an educational forum within CDR that addresses current issues in the commercial arbitration field. 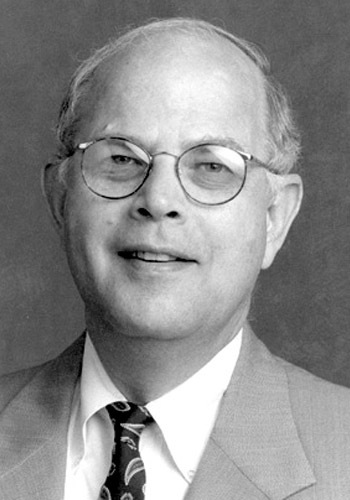 A 1964 graduate of Northwestern University Law School, Sklar has arbitrated domestic and international cases for more than 35 years and has written and lectured extensively on the effective use of arbitration techniques. Listed in the "International Who's Who of Construction Lawyers," Sklar has successfully executed all key roles in the alternative dispute resolution process including, arbitrator, mediator, advocate and expert witness. He has chaired and participated in numerous panels for construction cases concerning delay or construction defects claims in excess of several million dollars as well as disputes relating to real estate transactions. In 2004, Sklar received the American Bar Association's Forum on the Construction Industry Cornerstone Award for his outstanding contributions to the construction industry. Among his many affiliations in the area of alternative dispute resolution, Sklar is a certified mediator and arbitrator for the American Arbitration Association and a member of its National Panel for Large Complex Commercial Disputes as well as being a member of the AAA Panel for International Disputes. He is also a member of the CPR List of Distinguished Neutrals and a Certified Mediator for the International Mediation Institute. He is currently President-Elect of the College of Commercial Arbitrators, an invitation-only group of commercial arbitrators. ALI ABA Course on Special Masters in Federal Courts, 12/05; ACE004 - Practical Tips for Dealing with Delay Tactics of Parties and Advocates, Chicago, 4/05; AAA International Arbitration Symposium, San Francisco, 9/03; Attended AAA Neutrals Conference and satisfied 2003 ACE requirements, Providence, 8/03; faculty, AAA Neutrals Conference, Scottsdale, 1/03; AAA Arbitrator Update 2001; AAA Construction Train the Trainer Course, Phoenix, 12/00; attended AAA Mediator Conference Workshop, Chicago, 9/00; AAA Continuing Education, "Concrete Deterioration," Chicago, 9/00; AAA Continuing Education, "Sticks and Stones and Managing the Process of Arbitration," Chicago, 7/00; AAA Continuing Education, "Scheduling Damages and Discovery Management in Arbitration," Chicago, 5/00; presenter, AAA National Mediator Conference, Denver, 3/00; Harvard Law School Advanced Mediation Workshop, 2000; faculty, AAA Commercial Arbitrator Training, Atlanta, 11/98; AAA Construction Law Seminar, Chicago, 11/98; faculty, AAA Construction Industry Arbitrator Training, Chicago, 6/97; faculty, AAA Construction Mediator Workshop, Chicago, 5/97; Constructive Resolutions, Inc., Mediation Training, 1991; faculty, Chicago Region Arbitrator Training Programs; various other ADR training. Named Number 1 in Leading Lawyers 2018 ADR re Construction.